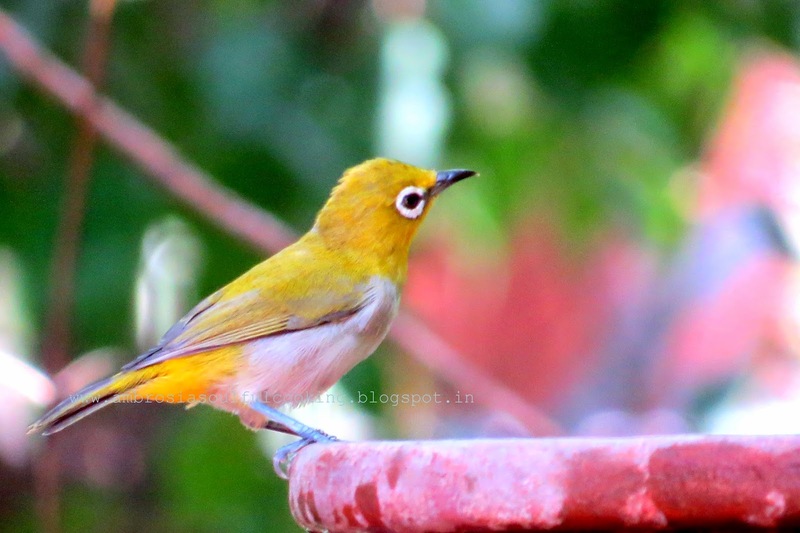 My little boy was perched on the stairs, watching ants for a very long time. He seemed to be intrigued seeing the ants carrying their larvae. He was curious to see so many of them, in perfect queues, moving in almost straight lines surging ahead like a tranquil wave. Ants carrying their larvae to safety is a sign of an impending rain……and we badly need one. Humidity and heat has reached to an almost intolerable proportions. 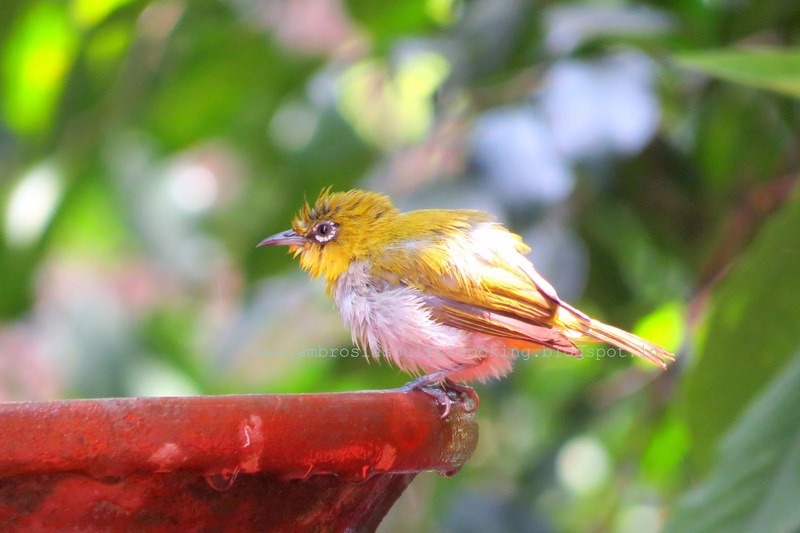 Our bird bath is active again and getting a lot of visitors. Yesterday a group of Oriental White Eye was spotted here, drinking water, splashing and bathing for a very long time, getting some reprieve from the soaring temperature. This time of the year, we get ripe pears from the hills. Sweet, gritty and bursting with juice, the pears are surely a treat. Yesterday, I used them in my bake. 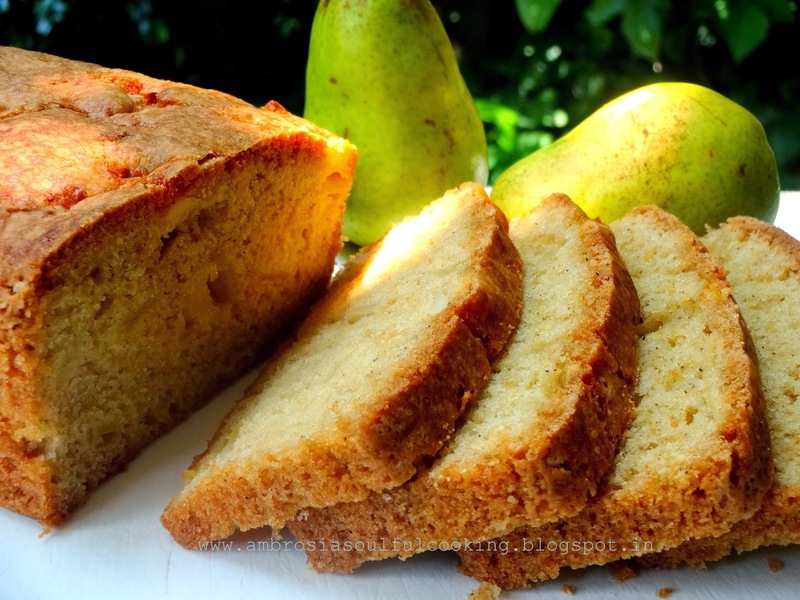 I baked Fresh Pear Tea Bread. 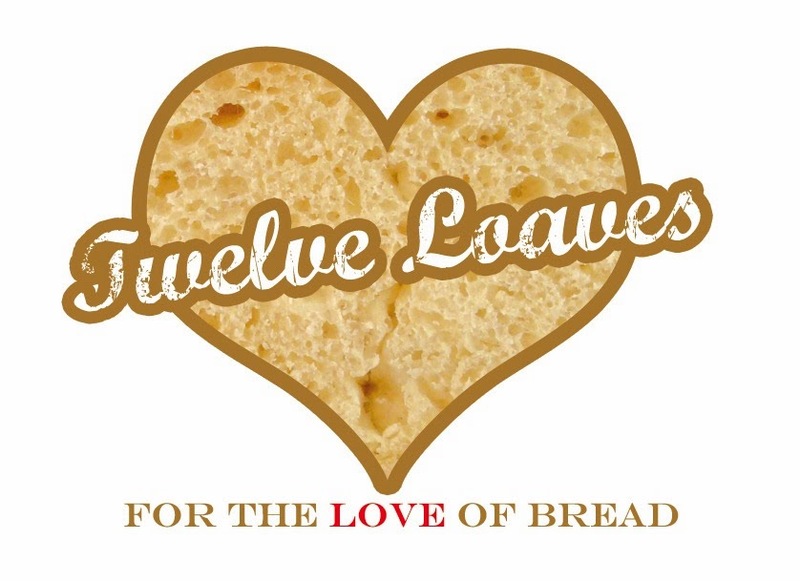 Moist and bursting with flavours, low fat and with whole wheat flour, it was enjoyed by all. Preheat oven to 180 degrees C. Grease and line one 9x4 ½ inch bread pan. Sift the flours with salt, baking powder and baking soda. Add ground spices. Whisk and keep aside. In a big bowl, take melted butter and oil. Add sugar and mix well. Add eggs one at a time, beating well after each addition. The mixture should become frothy and pale. Add lemon juice and zest. Add vanilla essence. Mix well. Add dry ingredients to wet ingredients and mix till the batter becomes smooth. Do not over mix. Fold in walnuts and chopped pears. Ladle the batter into the prepared pan. Bake for 50 minutes to 1 hour or till a skewer inserted in the center comes out clean. Remove from the pan after 10 minutes. Cool in the rack. Wrap in a foil and store in a container. Slice next day. The flavours develop beautifully. Dear Namita... 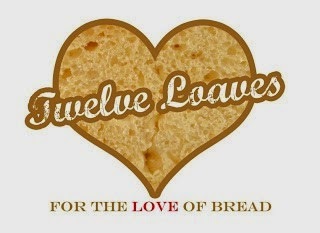 I salute to your bread innovations! 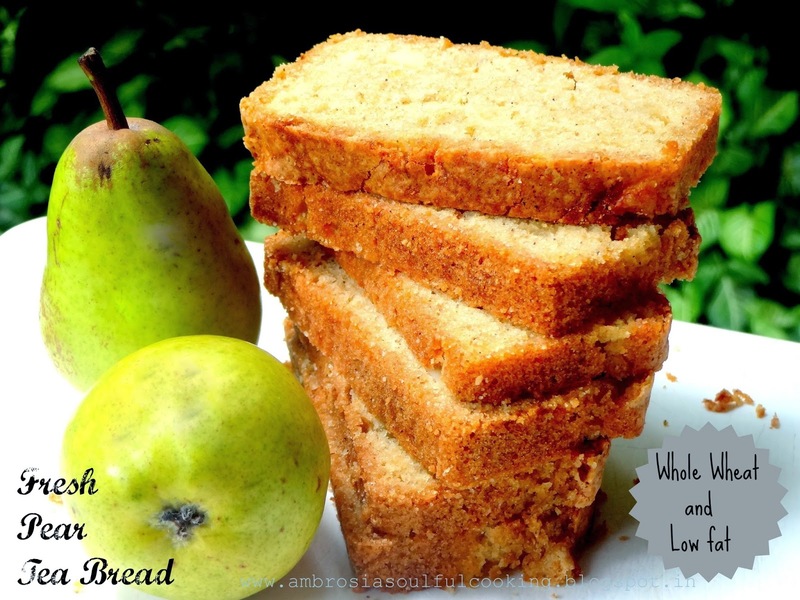 How innovative to include pears into breads! Almost absolutely guilt-free indulgence! Your family is really lucky to have you baking these delights for them! Loved the innovaion and pairing up you have done here. Those slices look absolutely perfect! 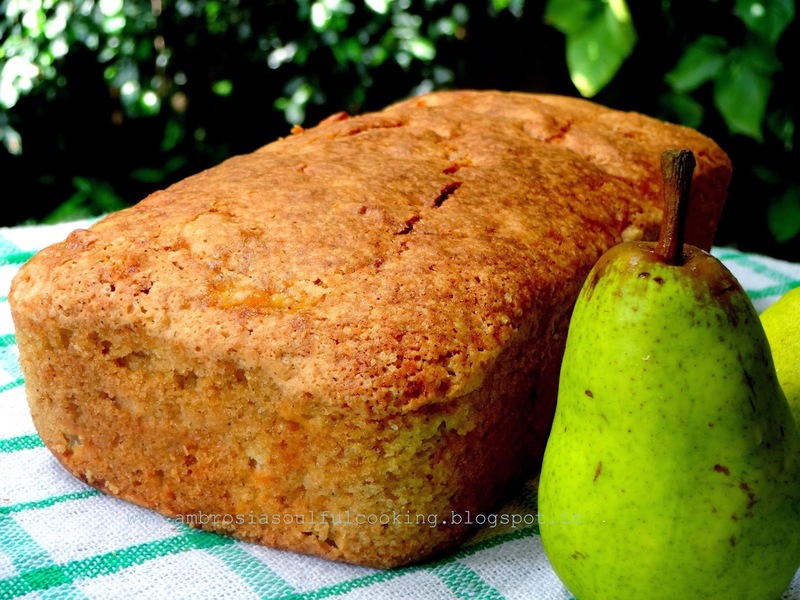 What a lovely and complex fruit bread recipe. I just made my first one and it's baking in small convection oven at 200 lowest setting) in a Pyrex glass loaf pan, which was best one on hand. Hoping it ends up as deliciously browned and moist as yours does! Please tell me what specific bread pan you use to get bread so uniformly browned to perfection. 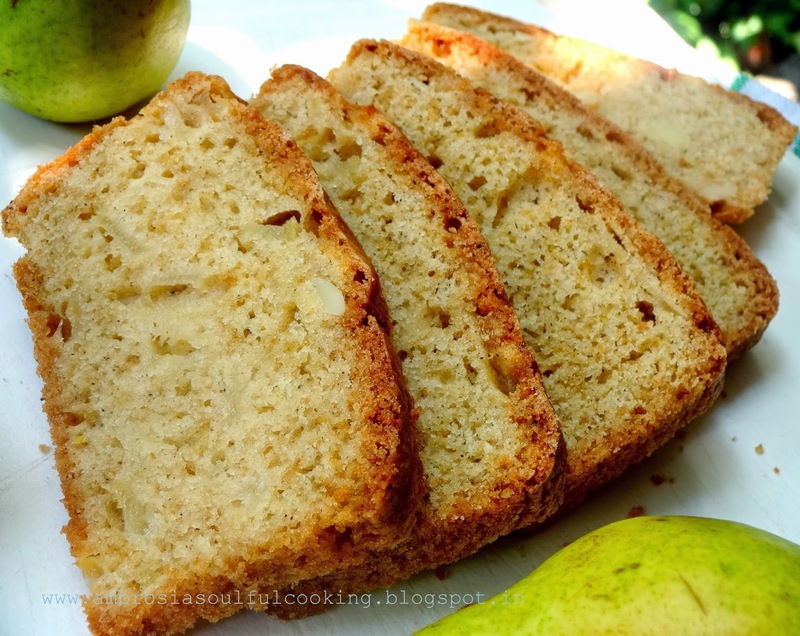 I used red bosc pears and tossed in some flour before adding gently to the mix. Also didn't have powdered sugar so used my natural cane sugar and used hand mixer to whip with butter and used coconut oil. Whipped in eggs until nicely frothy so sugar would dissolve. Fingers crossed it comes out like your picture! !